Hornets and wasp look similar because hornets are a type of wasp. 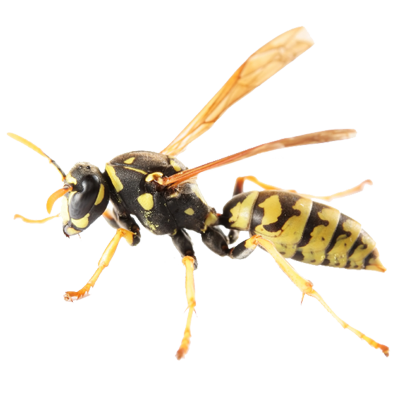 Yellow jackets, sometimes known as hornets, are short wasps that are black and yellow or white. All yellow jackets build paper nests that are completely surrounded by a paper envelope. Most yellow jackets nest underground. They often use burrows made by rodents or other natural openings as nest sites. The yellow jacket likes to nest inside walls of houses.